We are rapidly depleting our energy resources and striving hard to find new and cheaper alternatives. Currently we are dependent on fossil fuels to fulfill our energy demands such as petroleum, natural gas and coal. We can generate energy from coal for industrial use. Coal is found in four forms, which are: ignite, bituminous, anthracite and graphite. Each type of coal is specified according to its moisture content, volatile components and carbon percentage. As fossil fuels are non-renewable energy source, scientists are switching to nuclear energy. It is produced as a result of splitting or fusion of atomic nuclei. Although hazards and advantages of nuclear energy are debatable but still no one can deny its potential as future energy source. Coal has been used in smelting of iron ores and in many industries as primary fuel source. Nowadays scientists are producing electricity with coal. Humans are familiar with its use and potential over the past many centuries. Coal was used in bakeries and to run train engines. On the other hand, nuclear energy is a new 21st century energy resource. We can generate electricity for our cities and towns from a nuclear reactor. The main advantage of nuclear reaction is the immense amount of energy produced because of a nuclear fission reaction. Both nuclear and coal energy has its advantages and disadvantages. If we use coal as our main energy source, it will increase carbon dioxide levels in our atmosphere. Coal produces energy in the form of heat as a result of a combustion reaction. Excessive burning of coal will cause green house effect, which leads to global warming. There are generally traces of lead and arsenic present in coal and its burning causes air pollution. 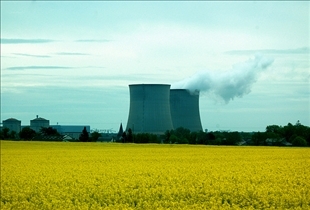 A nuclear reactor uses enriched uranium as fuel to start a nuclear fission reaction. Uranium is a radioactive substance and emits radiation, which are very dangerous and can cause gene mutations and cancers. Coal reservoirs are formed during million of years. Although we can make charcoal artificially, we can not produce it as quickly as we are consuming it. Therefore, we can not count on coal as our future energy source. Contrary to coal, nuclear energy is far more promising as future fuel. Scientists are working hard to make it safer and limit the hazards involve. I think in near future we will be able to find safer nuclear dump sites. Fossils fuels such as coal, gas and oil are rapidly depleting and scientists are looking for better and safer alternatives. Although we can manufacture coal artificially, it will require millions of trees to be cultivated and then cut down as a raw material. Combustion of coal can lead to global warming and ultimately to melting of glaciers, etc. Nuclear energy can be used as a future energy source as enormous amount of energy is produced as a product of nuclear fission reactions. A major problem related to nuclear power is the dumping of nuclear waste materials, but with every passing day, scientists are looking for ways to make this process less lethal to all life on Earth. Which energy source is more controversial? Hey ,Nuclear energy is not green as we do not have discovered any 100% full proof plan for the disposal of wastes. Nucular energy dosn't polute. The only thing it leaves is nucular waste, which we could just leave in Anartica or blast it into outer space. both energy sources are unacceptable. too many people have become diseased or worse from coal and nuclear garbage and mistakes. i know we have better ideas on the table. who's going to get the old guys out of the way. can u tell me the chart of comparison beteewn conventional fuel vs. nuclear energy. and also send that the cost comparison of them.. 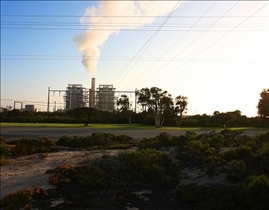 The newest reactors are able to use the spent material to generate power which makes the amount of waste next to nothing in comparison to the 1960's units. A single pellet of Uranium produces more power then six tons of coal, and the waste from that pellet can be reused to generate more power. The minimum amount of waste produced by Nuclear Power is without question acceptable when compared to any other form of practical power production, unless we want to fork out 50 cents a KWh? nuclear energy and coal are both wrong but theres little we can do. we can try to stop it but some one out there will always start it again. both energy sources lead to diseases, death and mutation etc. at some point i hope a way to solve it will be found but for now all we can do is hope and continue to stay eco friendly and green. Gasoline vs. Ethanol: Which do you choose?